In this tutorial you are going to learn how to get Yahoo Messenger. 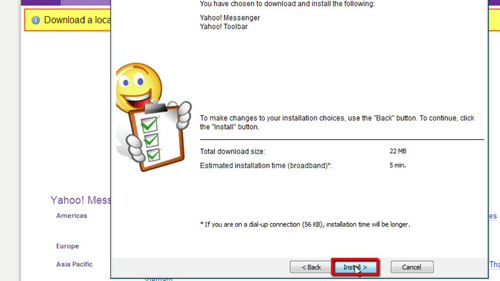 In order to use Yahoo Messenger you are first going to need to download the program. 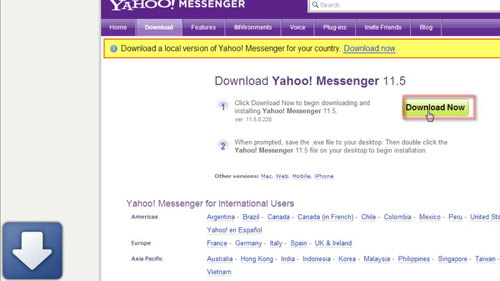 Visit the website “messenger.yahoo.com/download” and on the page that loads click the “Download Now” button. The program will download and when this process has completed click on it. Click “Run” in the dialog box that appears, then “Yes” in the next one. In the installer deselect the two checkboxes then click “Next”. Accept the terms and then click “Next” again. Finally click “Install” and the program will download the files necessary for the installation and then install the program. Wait for this process to complete and then click “Finish”. Yahoo Messenger will open and you need to sign into it if you have a Yahoo ID – here we do not so we will click the “Get a new Yahoo ID” link. A tab will load in your default browser and you need to fill this form out then click the “Create my account” button at the bottom. You’ll also need to create a couple of security questions and enter a verification code. 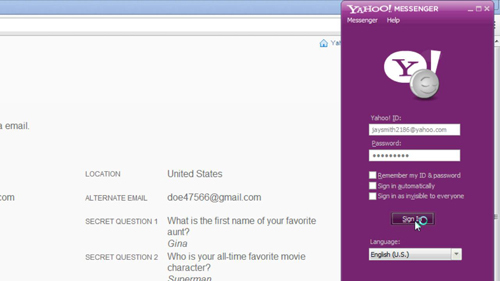 Your account will now have been created so we can go back to Yahoo Messenger and use these details to log in. That is essentially how to get Yahoo Messenger on a PC.